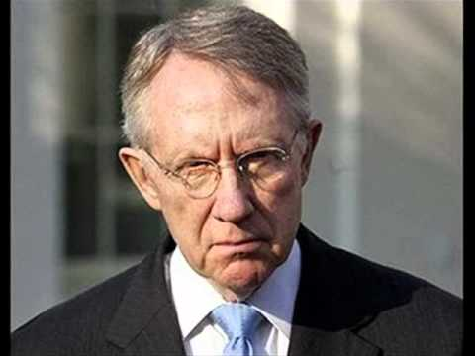 Even though Democrats control the Senate and the White House, Senate Majority Leader Harry Reid (D-NV) on Friday blamed Republicans for the poor August jobs report in which 96,000 jobs were added and the unemployment only went down to 8.1% because 368,000 people gave up, lost hope, and left the workforce in the bleak economy. “The best way to speed up our recovery is for Republicans to stop their knee-jerk obstruction of every effort Democrats put forward, and start working across the aisle to find common ground,” Reid said. Under Reid’s leadership, the Senate has not passed a budget in over three years, and Congressional Democrats have threatened to take the control off the so-called fiscal cliff by letting the Bush tax cuts expire across the board in an attempt to score political points. In addition, the Obama administration and Democrats in Congress said the stimulus package would keep unemployment below eight percent.